Cowtown Bowling Palace is a great place to have fun times with family and friends. At Cowtown Bowling Palace you can have a great time at prices that won’t break your family’s budget. We have plenty of bumper bowling lanes just for kids! Bumpers are great to keep the bowling balls out of the gutters and smiles on the faces of your small children. We also have our COOL Cosmic where you bowl with the lights down – great music turned up and awesome special effects lighting…it looks like a nightclub! When looking for family fun in Fort Worth look no further than Cowtown Bowling Palace. Cowtown Bowling Palace is 100% smoke free too! 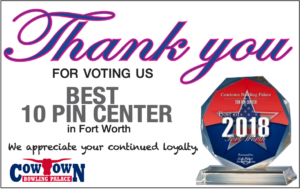 Cowtown Bowling Palace has been voted Best Bowling Center in Fort Worth 3 years in a row! Cowtown Bowling Palace in Fort Worth, Texas is looking for someone who is mechanically inclined (possibly with some electrical experience) to learn how to work on our bowling AMF pinsetters. Our bowling center is a high traffic facility with a strong mix of both league and open play. Work is fast paced and will keep you busy making shifts fly by! Willingness to "get your hands dirty"
Experience working on, repairing or building machinery or motors preferred by not required. 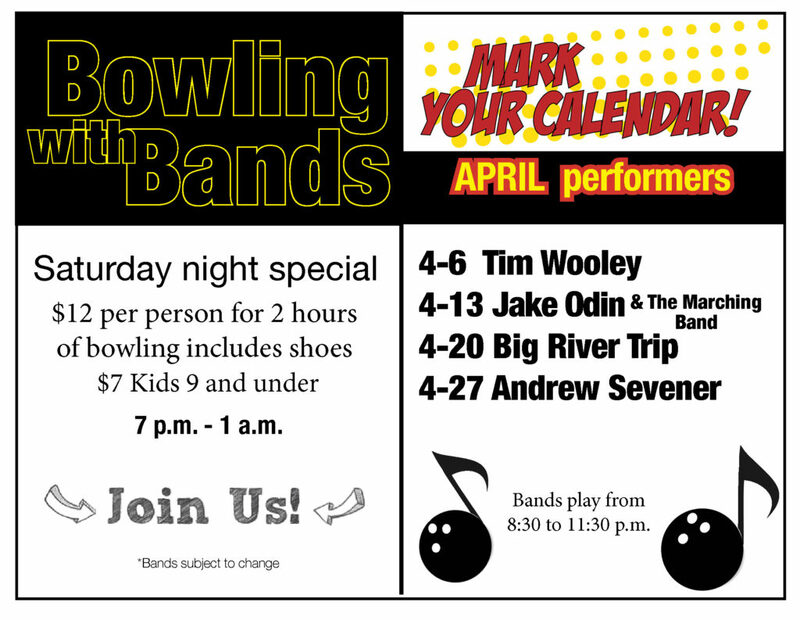 If this sounds like something you are interested in, Cowtown Bowling Palace could be your next employer. Please go to cowtownbowling.com, click on the "Employment" tab, then click on the "Click Here NOW to Fill Out online application for employment".